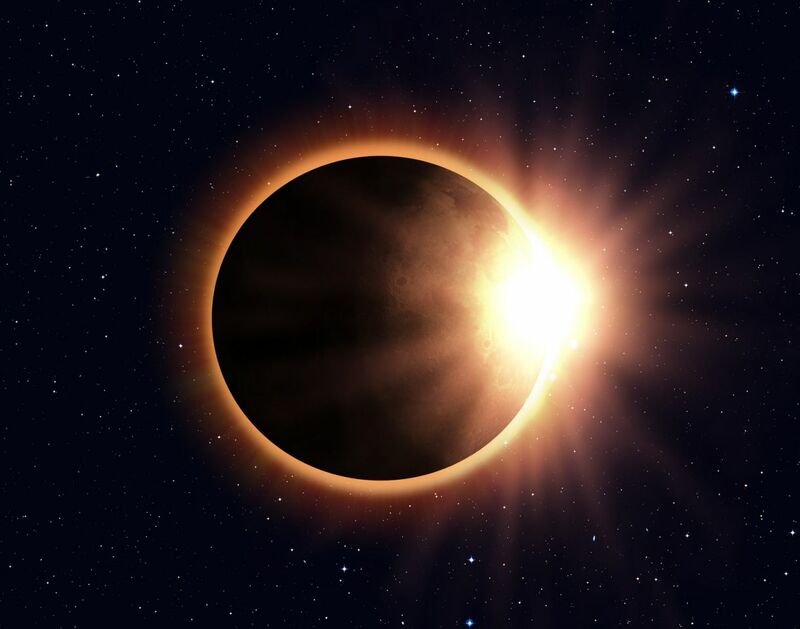 A solar eclipse is a phenomenal spectacle that everyone should make the effort to see, and the eclipse of August 21, 2017 promises to be one of the most amazing of our lifetieme. Your mother's (and your optometrist's) advice about not looking directly at the sun still applies. Here are some tips that you should keep in mind. You can get more information about safely viewing the eclipse from NASA. Special "eclipse glasses" are being widely sold throughout the country in preparation for this spectacle. These special glasses should be labeled as compliant with ISO 12312-2 and are the only safe way to watch the eclipse with the unmagnified eye. Before using your eclipse glasses, carefully inspect them and look for scratches or cracks. If you see any damage whatsoever, discard them and get a new pair. It's not worth losing your sight to save a couple of dollars. Your sunglasses are great for protecting your eyes from UVA and UVB rays, but they're not designed to protect you from looking directly at the sun. Even the darkest sunglasses transmit thousands of times too much light. Looking at the sun while wearing your dark glasses can rapidly cause permanent damage to your vision. Viewing the eclipse through a camera, telescope, binoculars, or any other lensed device will collect and focus the light of the sun directly into the eyepiece. Even the eclipse glasses won't protect you from the intensity of these rays. You must use a special solar filter designed for the device you're using. Note that all filters must be attached to the front of the lens. The solar filter should be put on while looking down at the ground, before you look up at the sun. It's a good idea to practice this a few times with your kids before the day of the eclipse, then watch them carefully as they don their glasses before you put your own on. Make sure that you and the kids look down, away from the sun before you remove the glasses too. If you're traveling from Northern California to watch the eclipse from the path of totality, you can safely remove the glasses only when the moon completely covers the sun. As the sun begins to reappear, put the glasses back on to safely watch the rest of the eclipse. Watching an eclipse is an educational and inspiring event for kids and adults alike. Following these simple tips will ensure that your viewing leaves you with lifelong memories, not lifelong regrets.